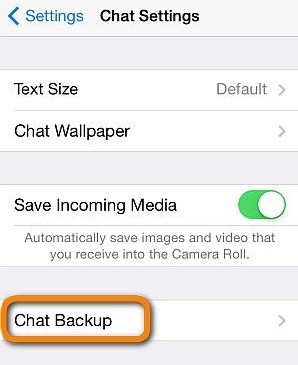 Losing some of the Media files on your WhatsApp chat can be quite problematic especially when you don’t have a backup of the media. Yet, data loss of this nature happens very easily and can happen for a variety of reasons, the most common being accidental deletion. 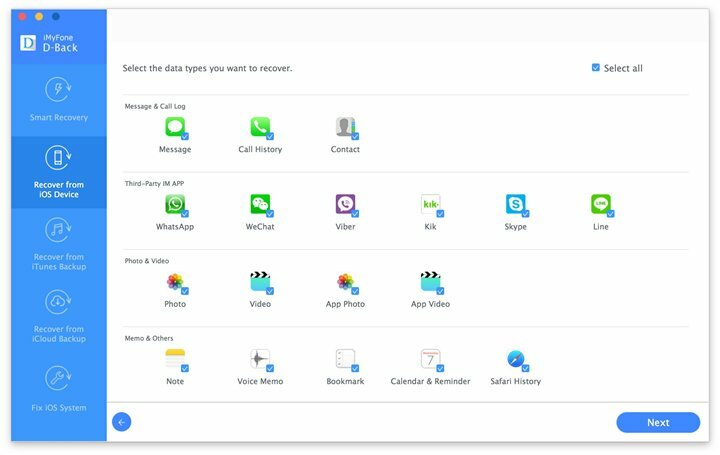 If you have lost some of the media files on your WhatsApp account from iPhone, this article will be of great help to you. In it, we are going to give you a solid solution to your problem whether you have a backup of your media file or not. 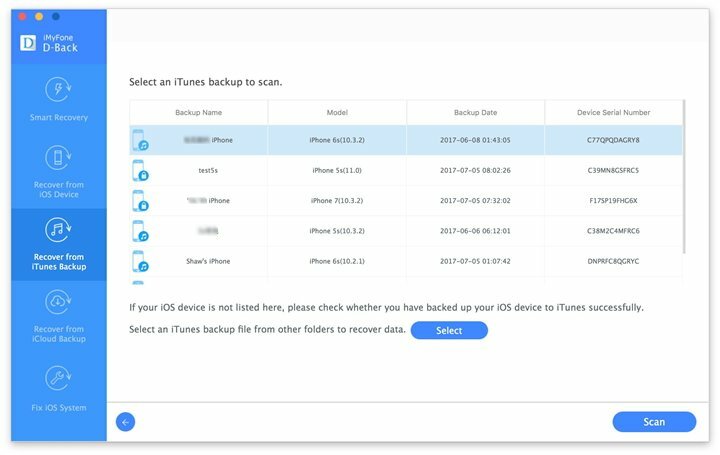 If you have a backup on iTunes or iCloud, the easiest way to get your media files back is to restore the device. This can be easily done and will result in the instant restoration of your missing media files. But there is a disadvantage to restoring your device. It may result in the loss of data that wasn’t included in the backup. If you don’t want to restore the device from a backup or don’t have a backup, a data recovery tool is the next best option for you. While there are many data recovery tools, only one can get the job done in half the time and will recover your media files regardless of the circumstances leading up to the loss in the first place. 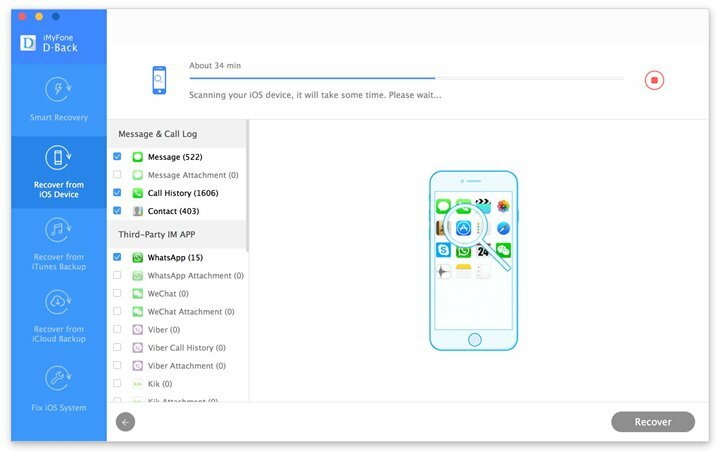 That data recovery tool is iMyFone D-Back iPhone data recovery for Win or iPhone data recovery for Mac. The following are some of the features that make iMyFone D-Back the best tool for the job. 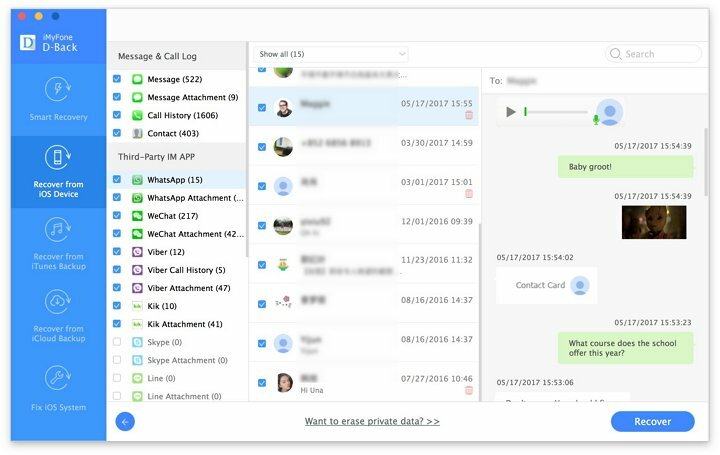 It can be used to recover up to 22 different types of data including messages, videos, photos, contacts, videos, third-party app data such as WhatsApp, Kik, Viber, WeChat, Line and more. It is ideal for the selective extraction or recovery of data from an iTunes or iCloud backup. 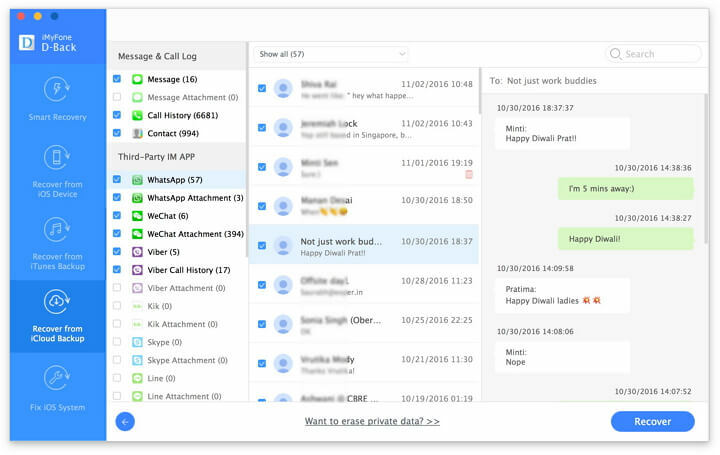 Its preview function makes selective data recovery easy and quick. 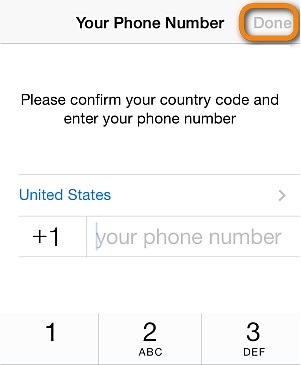 It is very easy to use and compatible with nearly all iOS device and all versions of iOS system including iPhone 7 and iOS 11. Download and install iMyFone D-Back to your computer and then choose one of the following three modes of recovery, depending on whether you have a backup or not. If you don’t have a backup of the missing media files, follow these simple steps to recover them from the device. Step 3: When the scanning process is complete, select the missing Media files from the results page under “WhatsApp Attachments” and then click “Recover” to save them to your computer. 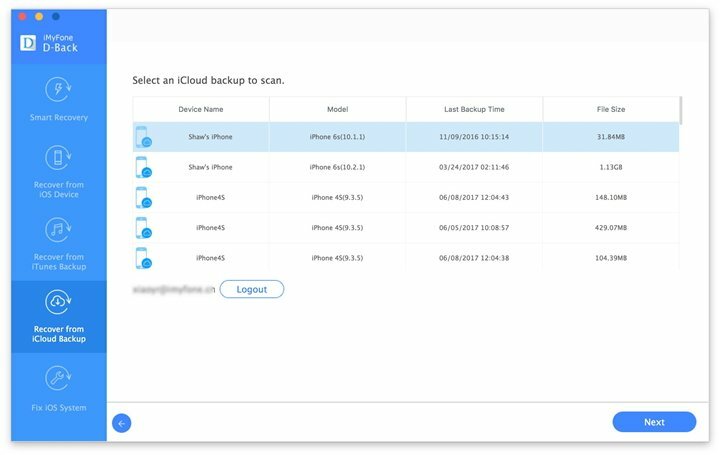 If you have a backup in iCloud but don’t want to restore the device, follow these simple steps to retrieve the media files from the iCloud backup. 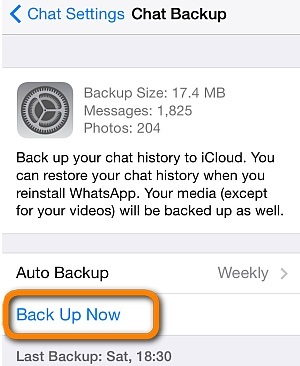 Step 2: Sign in to your iCloud account and then choose the backup containing the media files. Click “Next” to begin scanning the chosen backup. Step 3: Choose the media files you want to restore from the results page and then click “Recover” to save them to your computer. If you have a backup on iTunes instead, here’s how to get your Media files from it. Step 2: Choose a relevant backup from those listed and then click “Scan” to begin analyzing it. 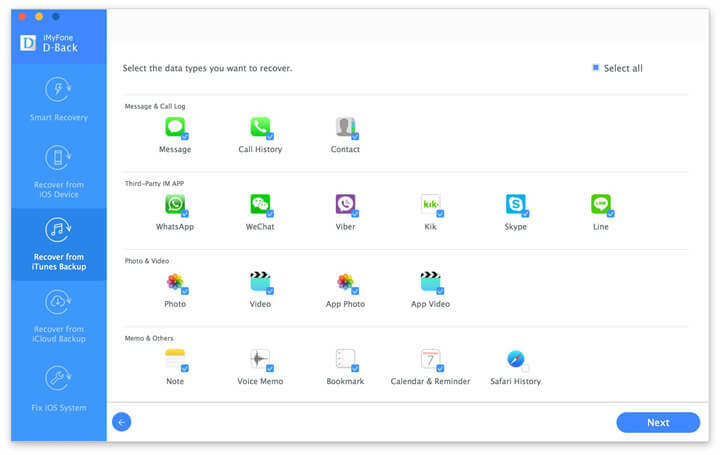 Step 3: Once the scan is complete, select the WhatsApp media files you want to recover from the results and click “Recover” to save them to your computer.